In an industry where less than 5% of the top box office films are directed by women, Film Fatales provides a structure for women directors to support each other, share resources, and help get their films made and seen. The organization was founded by Leah Meyerhoff in New York City in 2013 and has since inspired dozens of sister groups around the world, including the Portland chapter, co-founded in 2016 by Lara Jean Gallagher (American Gladiators, Stage Two) and Alexi Pappas (Tracktown). Doors open at 7:30pm, show starts at 8:00 – seating is limited. Last week’s PDX Film Fatales show here at the BHMC sold out in 11 minutes! Of course we only have 30 seats, so it’s not that unbelievable of a feat, but it does confirm our suspicion that small, intimate, community driven art-spaces are both vital and appreciated here in Portland. 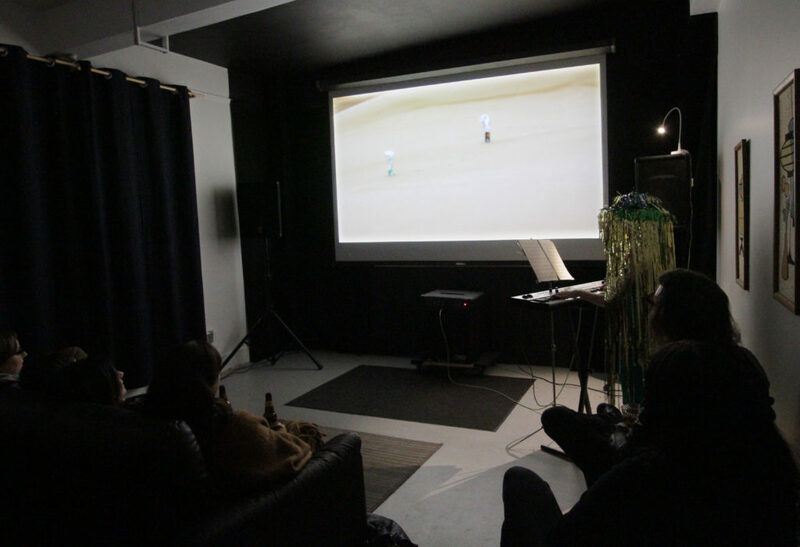 Mary Sutton performs a live soundtrack to Leah Brown’s ‘Episode III’ at last night’s PDX Film Fatales show at the BHMC. Anyone who has followed Portland’s independent/experimental film scene knows the BHMC descends from Peripheral Produce and the PDX Film Festival, a dormant but once flourishing screening series that would routinely sell-out venues like the 350+ seat Hollywood and Guild Theaters. In the 90s and early 2000s that was par for the course, as the experimental film and arts communities were vibrant but still relatively obscure. One could make a legit argument that if you didn’t attend the event you may never see the films. Of course that all changed with YouTube and internet streaming- suddenly films that were difficult if not impossible to see could be viewed with the click of a mouse, and ideas spread like wildfire. 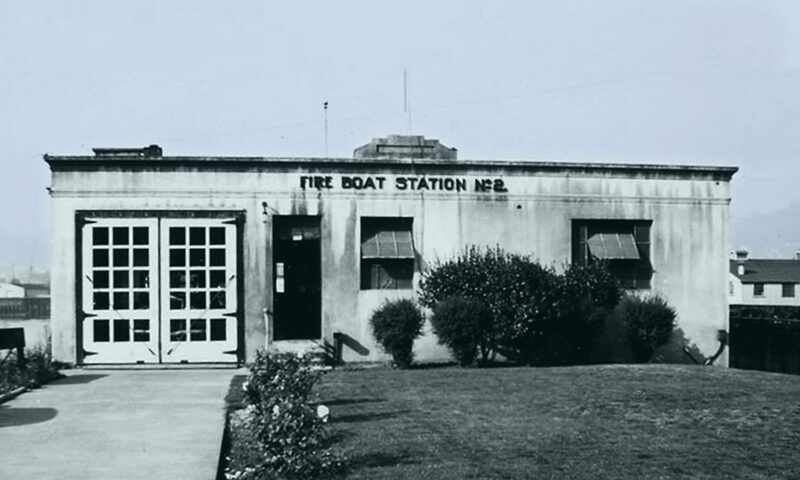 But perhaps forgotten in that process was the importance of the face-to-face community building that took place at these events, and that’s where the Boathouse Microcinema re-enters the discussion. 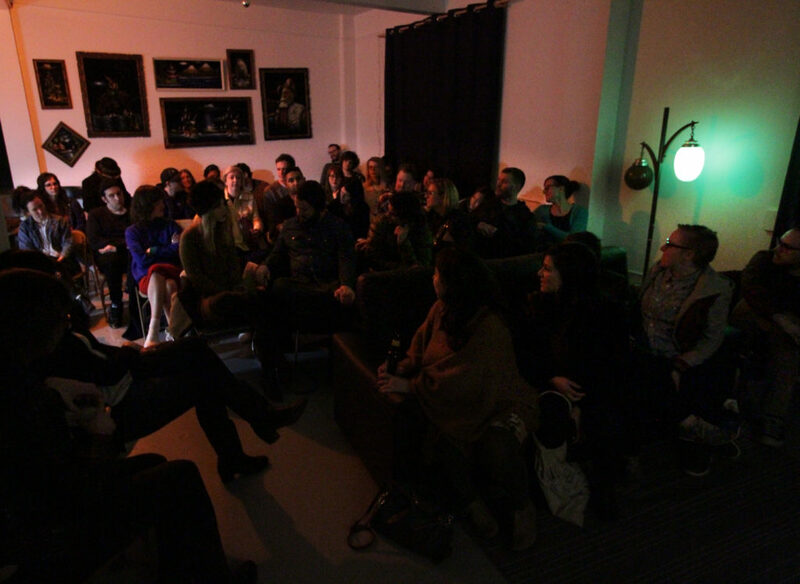 BHMC screenings are as much a hangout session as they are a screening event- they’re an opportunity for like minds to congregate and share work and ideas. Almost like a weekly meeting space, with movies and popcorn. We are very grateful that the community has responded as positively as it has- thanks for coming and please come back!!! Alicia J Rose, Cambria Matlow, Lara Gallagher and other members of the PDX Film Fatales discuss their work at a recent BHMC screening. 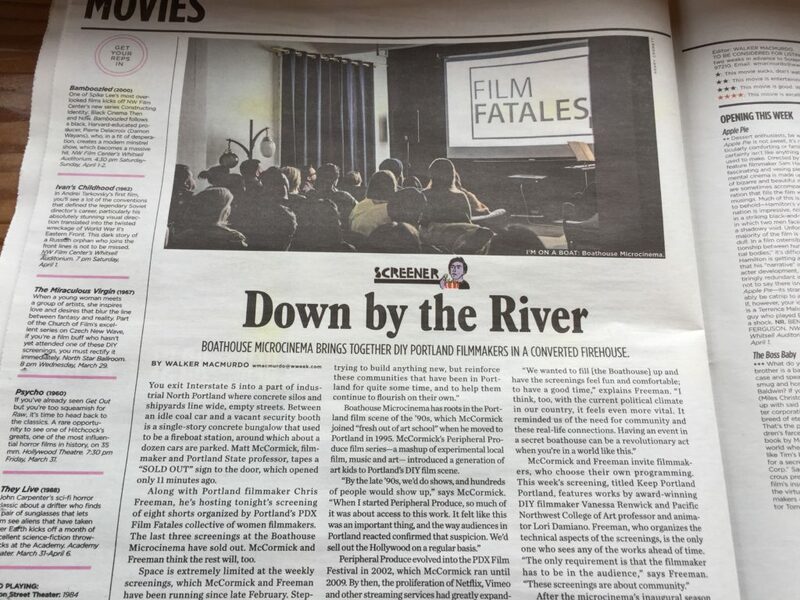 Big thanks to Walker MacMurdo at the Willamette Week for writing up the Boathouse Microcinema in this week’s paper!